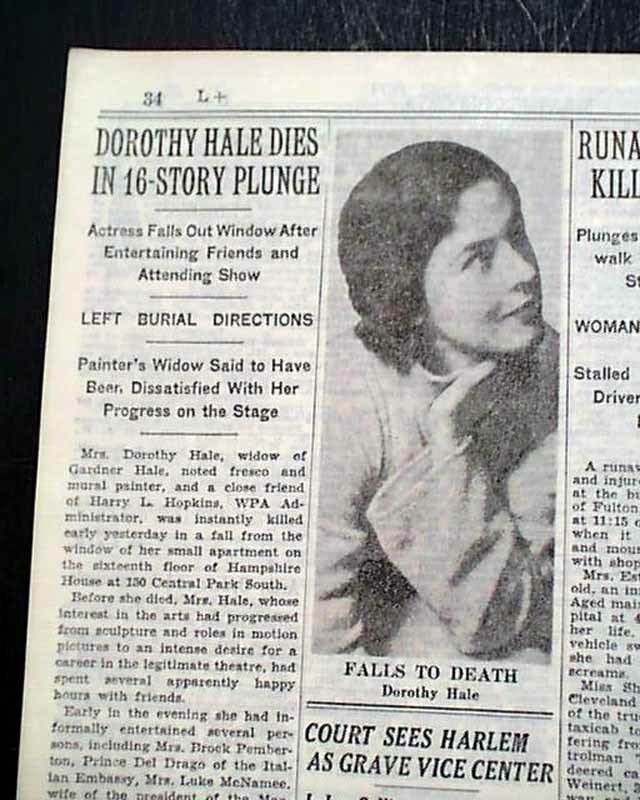 The top of the back page has a one column heading: "DOROTHY HALE DIES IN 16-STORY PLUNGE" with subheads and photo. 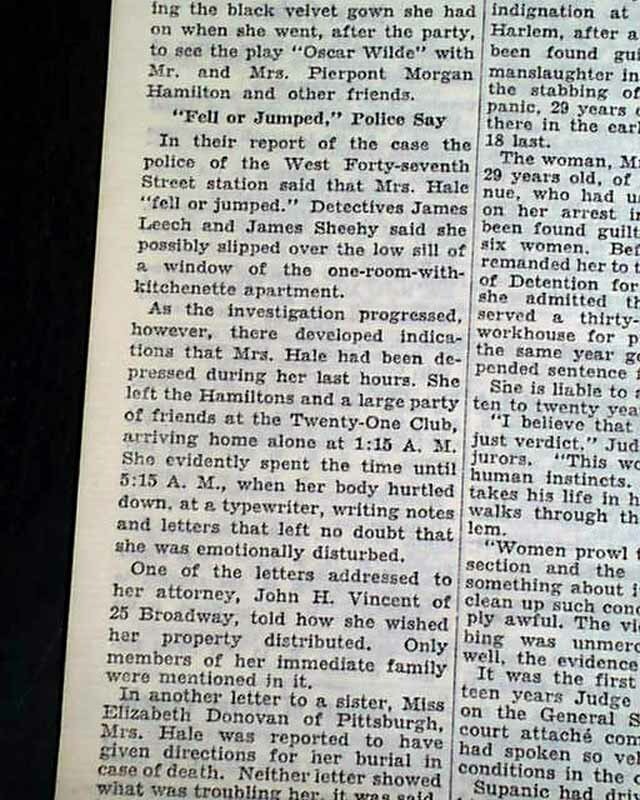 (see) First report coverage on American socialite and actress, Dorothy Hale, committing suicide by jumping from a NYC building. Other news, sports and advertisements of the day. 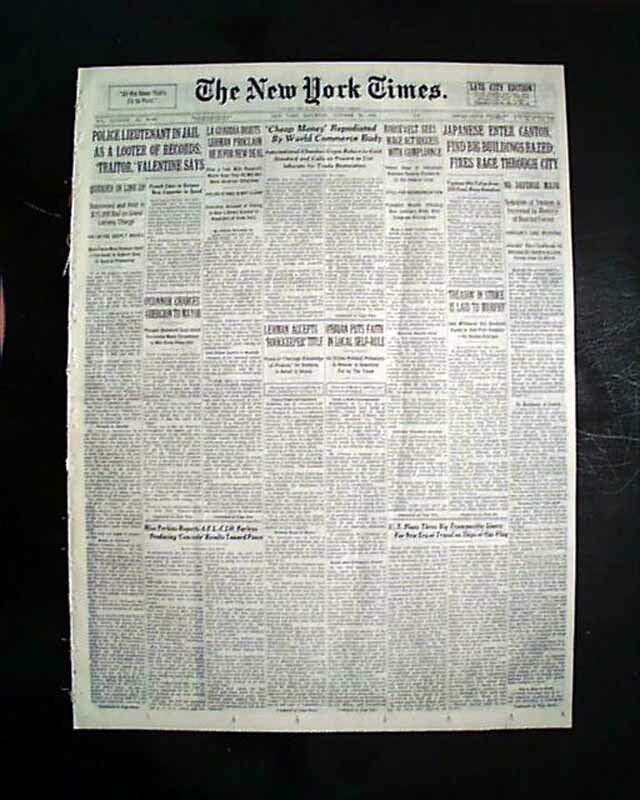 Complete in 34 pages, this is the rare rag edition that was produced on very high quality newsprint, with a high percentage of cotton & linen content, allowing the issues to remain very white & sturdy into the present. Given the subscription cost, libraries & institutions rather than individuals were the primary subscribers of these high-quality editions. Nice condition. 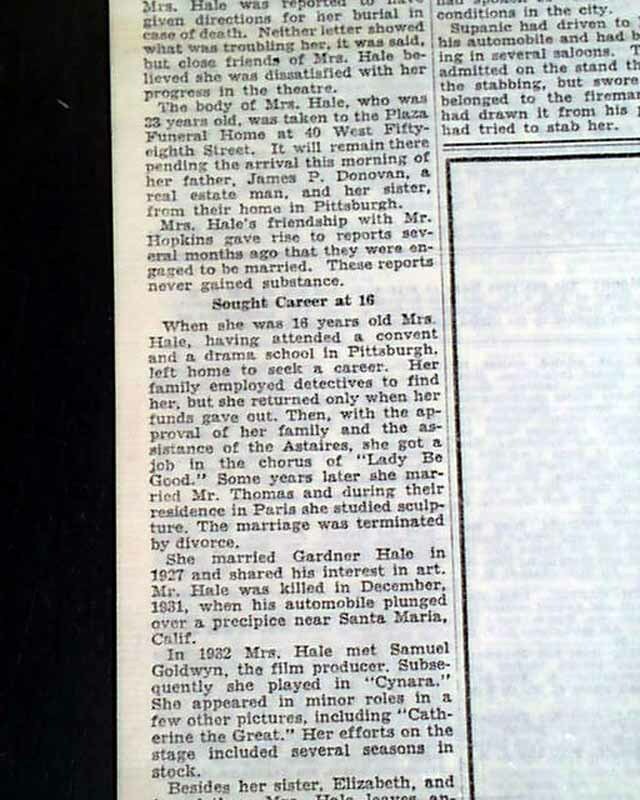 wikipedia notes: The evening of her death, Hale informally entertained some friends; she had told them that she was planning a long trip and invited them to a farewell party. After attending the theater, Hale returned to her home—a one-room studio apartment with a kitchenette on the 16th floor of Hampshire House—at about 1:15 am, leaving a large number of friends partying at the 21 Club. She apparently spent the next four hours at the typewriter composing farewell notes to friends: one to Baruch expressing regret at not taking his advice; and one to her attorney, instructing how her estate and burial were to be handled. 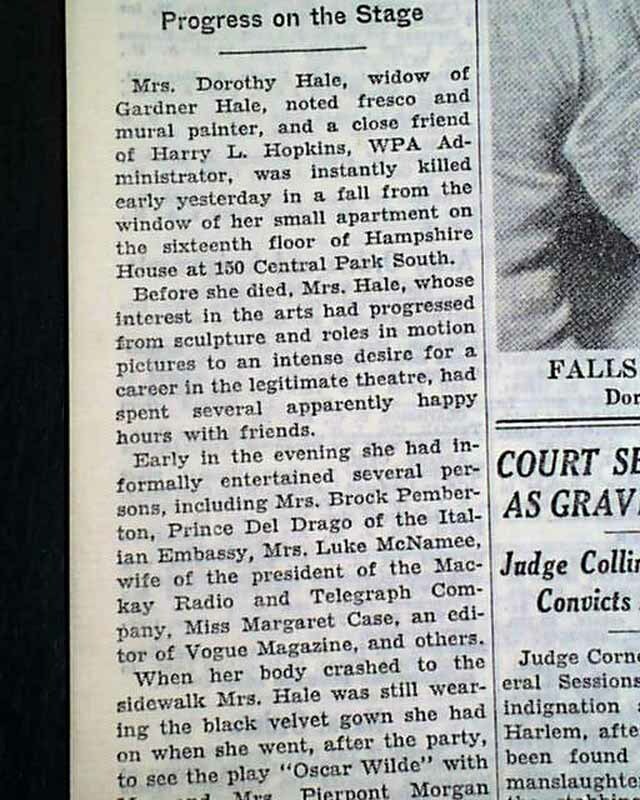 At 5:15 am on October 21, 1938, Hale threw herself out of the window of her apartment. 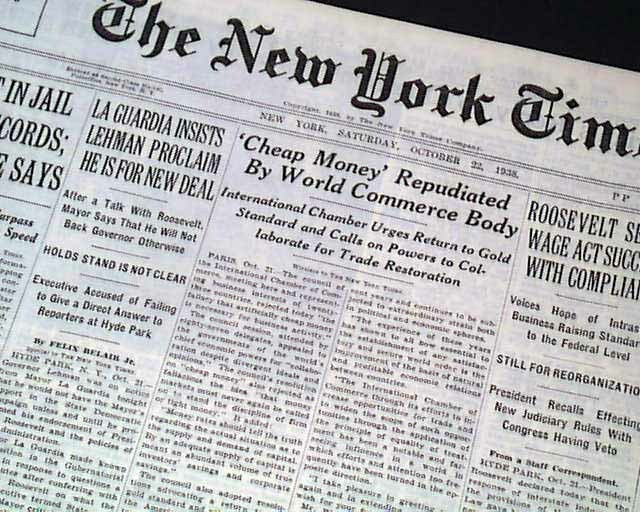 She was found still wearing her favorite Madame X femme-fatale black velvet dress with a corsage of small yellow roses, given to her by Noguchi.